José Vieira born in 1962, Portugal. High Degree on painting and Master Degree on Aesthetic Communication (Digital Art) by the University Art School of Coimbra, Portugal. Curator of FONLAD Festival, Fake Festival, UAVM Virtual Museum and Web Art Center. 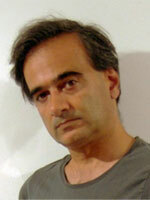 Artist with exhibitions since 1982 and curator of several exhibitions and festivals arround the globe. 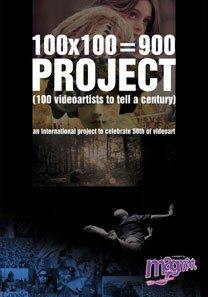 The Cultural Association IC Zero, the Video Lab Project and Alliance Française de Coimbra established a collaborative partnership with the cultural objective of promoting reflection, discussion and learning on new artistic technologies, including digital art, photography, video, performance, etc., and their informal presentation through exhibitions, residencies, workshops, screenings of video art, performance and installations. The screening will be present along a non stop session from 6:30 pm to 1:30 am on November 30. The videos will be distribuited on three rooms: 1900-1933; 1934-1966;1967-1999.